Everyone here at SCA has quite a generous view of advertising, whether it’s pieces of communications that make you laugh out loud, cry a silent internal tear, or consider the state of the world and man’s place in the world. For this SCAB however, I wanted to have a little look at the advertising of the past, and examine quite how (for our times at least) offensive advertising was in the past. It wasn’t all Helmut Krone and Bill Bernach ya know. Whether it’s damaging the advancement of the equality of women, encouraging the public to smoke or being downright racist, advertising in the last 100 years has somewhat of a chequered past. For our first foray into the questionable past of adverts, I first wanted to examine advertising’s encouragement of bad habits. First and foremast among these is advertisements for smoking. While most of us are all too aware of the legacy of the Marlboro Man (4 of whom ended up dead thanks to the effects of smoking), we’re maybe less aware of the smoking adverts for the first part of the twentieth century that actively encouraged the general public to smoke healthy, smoke sick and smoke right now. 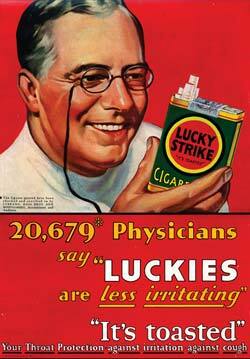 Our first piece is a convincing piece for Luckie’s cigarettes (http://m2.wyanokecdn.com/75478a9fd26204af4d7813fde80fb8a1.jpg). Cigarettes? Fair enough, cigarettes are fun no matter how many vapes Marc buys you. Cigarettes you can now smoke when you’re sick from the effects of smoking cigarettes? Now that’s good advertising. The unquestionable SMP that these miracle-cigs are recommended by doctors means no one could logically question this fantastic product. Lies be damned, I challenge you to find me a more convincing ad. Next, we’re on to sexism. While the pay-gap is being reduced, and more women are in work than ever before, this positive attitude towards women was not shared by our advertising forefathers. In this example, we can express the communication thusly: ‘thank god we have delicious, manly beer to save us from our scatterbrained wives! Oh trusty beer, thank you’ http://i.dailymail.co.uk/i/pix/2012/12/30/article-0-16B0E7B6000005DC-397_964x655.jpg. Our second piece is… well it’s a tie ad… and… I’m not really sure what the message is but it’s just so painfully awful that I thought we had to include it. 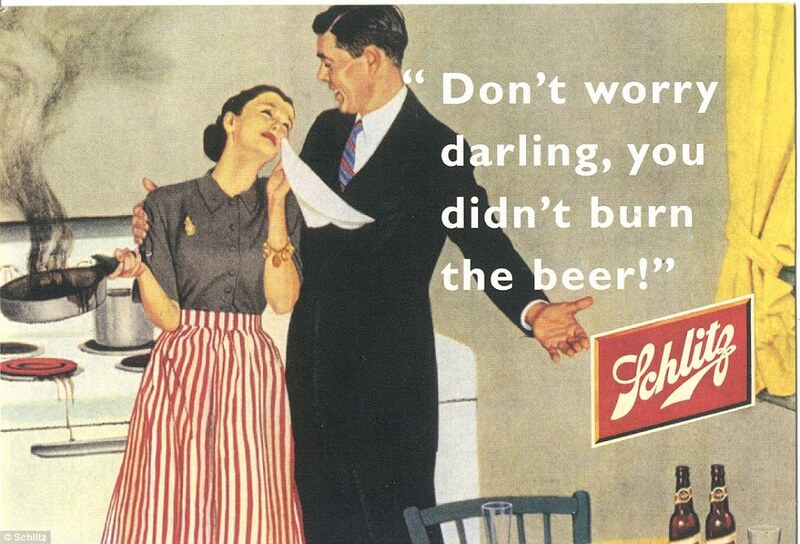 http://cdn.gurl.com/wp-content/gallery/sexist-vintage-ads/vintage-women-ads-20.jpg. Finally, we zero in on racism. Actually you know, these are just too awful to pick and discuss so if you want, google ‘racist adverts’ and you can find loads. I will include this terrible effort from China from 2016 (yes, 2016) as one offering. https://www.youtube.com/watch?v=Few8kJ0zfnY. Watch it. Hate it. Try to do better. I hope you’ve enjoyed these horrific ancient examples of our ‘art’. Hopefully nothing like this will end up in your book.